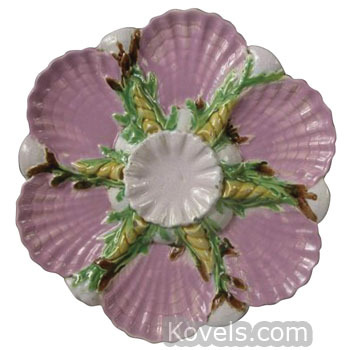 Oyster plates were popular from the 1880s. 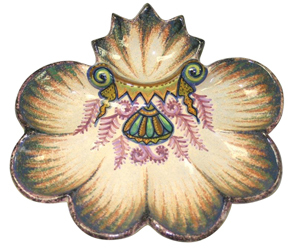 Each course at dinner was served in a special dish. 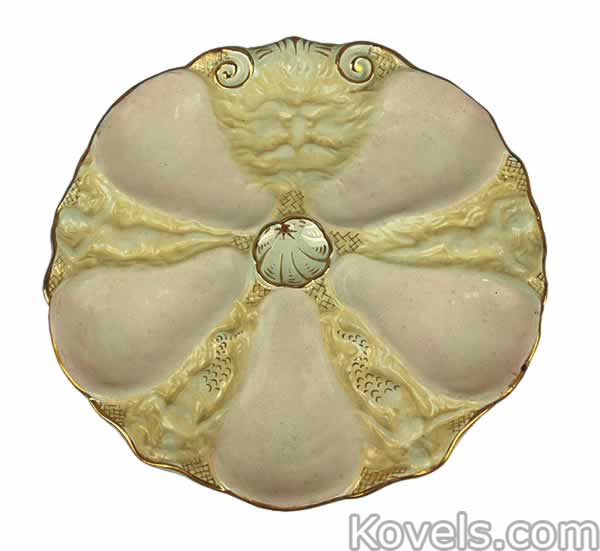 The oyster plate had indentations shaped like oysters. 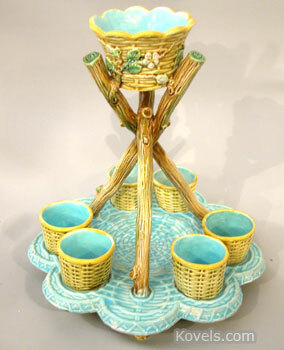 Usually six oysters were held on a plate. 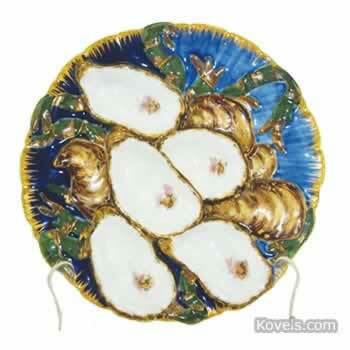 There is no greater value to a plate with more oysters, although that myth continues to haunt antiques dealers. 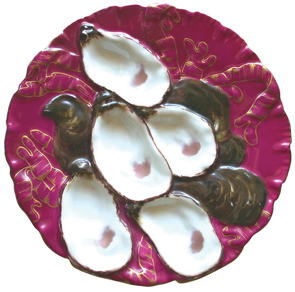 There are other plates for shellfish, including cockle plates and whelk plates. 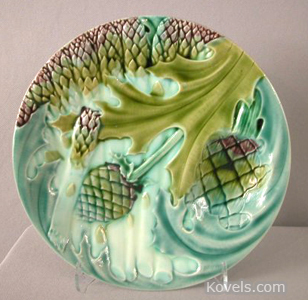 The appropriately shaped indentations are part of the design of these dishes. 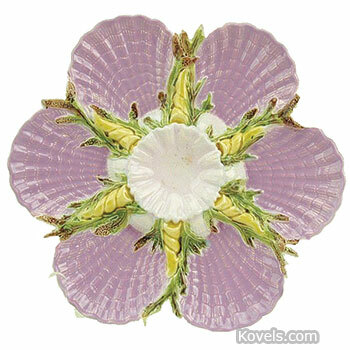 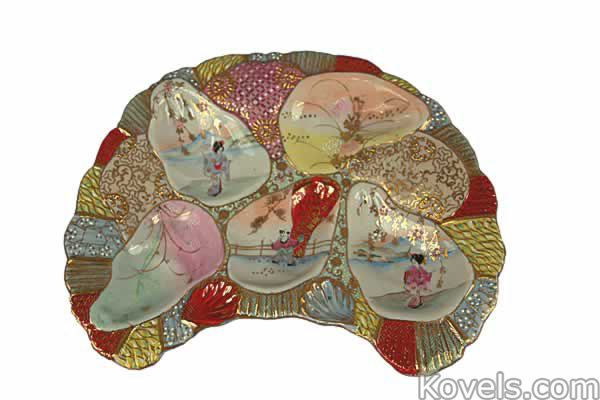 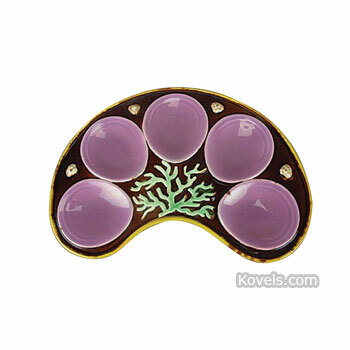 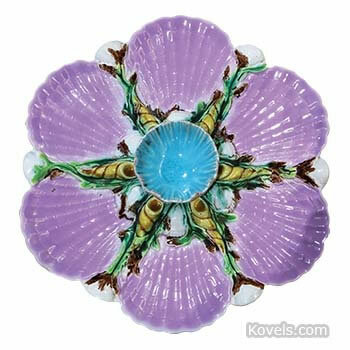 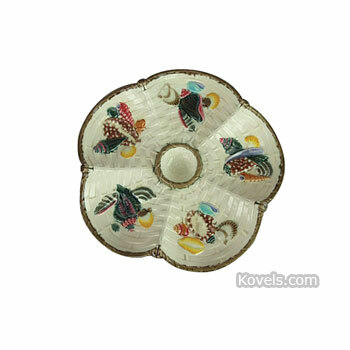 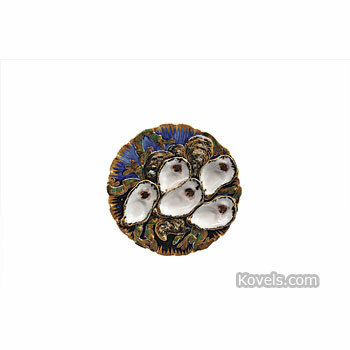 Oyster plates were made by many companies and are popular with today's collectors.